Under North Carolina law and in most jurisdictions in which we practice, there are statutes that define what constitutes medical negligence. Under North Carolina law, a medical provider is under a duty (1) to use their best judgment in the treatment and care of their patient, (2) to use reasonable care and diligence in the application of their knowledge and skill to their patients care, and (3) to provide health care in accordance with the standards of practice of among members of the same health care profession with similar training and experience situated in the same or similar communities at the time the health care is rendered. A violation of any one of these three duties is negligence. To be successful, one must to prove one or more of these violations by the greater weight of the evidence. That is, the jury must be persuaded after considering all of the evidence that the necessary facts to establish negligence are more likely than not to exist. North Carolina imposes an additional burden when one claims error by an emergency room physician. Evidence in those cases must be “clear and convincing”. Virtually all doctors carry malpractice insurance which will satisfy any settlement or judgment obtained in a malpractice claim. Also, the law in North Carolina requires that injured victims have a physician of the same specialty as the allegedly negligent doctor attest that the doctor did indeed violate the standard of care. Unfortunately, there are only a small handful of medical malpractice insurers in North Carolina, and these insurers generally prevent North Carolina doctors from testifying against other North Carolina doctors – although they do encourage their doctors to offer testimony in support of other North Carolina doctors. For that reason it is often necessary to seek physicians from outside of North Carolina to discuss whether or not the allegedly negligent doctor violated the standard of care. The medical personnel on our staff are critical to helping us locate physicians who will be educate the jury about accepted patient safety standards, rather than simply be an advocate for the health-care and liability insurance industries. North Carolina also has laws which limit the types of recovery that victims of medical malpractice may obtain as compensation for their injuries. This limitation on the recovery of fair compensation to injured victims is unique to the field of medical malpractice and does not affect individual injured by the negligence of others who are not medical professionals. In North Carolina, a victim of medical negligence is limited to a recovery of $500,000 (adjusted every three years since 2011 for cost-of-living increases, the current cap on recovery is $515,000) for all “non-economic” consequences. This includes harms such as physical pain, mental suffering, permanent impairment and scarring. Similarly, if a loved one has died as a result of medical negligence, the victim’s family is limited to a $500,000 recovery (adjusted every three years as mentioned above) for all damages except for wage loss and pre-death medical bills. Although juries are asked to provide fair compensation to victims of medical negligence, the law prohibits the court or the lawyers from telling the jurors that their verdict will be reduced in accordance with this cap on recovery. The only exception to this limitation is if a jury finds that the medical provider was “reckless” in the delivery of medical care. In such instance, the limitation on recovery of non-economic damages does not apply and the victims of medical negligence are entitled to the entirety of what the jury has determined is fair compensation in its verdict. As the expenses associated with litigating medical negligence claims can run into the hundreds of thousands of dollars, this unfair limitation on the recovery of damages unfortunately makes it extremely difficult to pursue cases on behalf of certain categories of individuals who may not have wage-earning capacity, or who did not incur significant medical expenses. Our firm’s attorneys have significant experience handling complex medical malpractice cases, including emergency room errors, surgical errors, failure to diagnose serious medical conditions, and avoidable birth injuries, brain and spinal cord injuries and wrongful death. Let an experienced medical malpractice lawyer apply years of experience and legal skills in pursuit of helping you obtain a full financial recovery. In 2015, we received a jury verdict of more than $7.5 million against two surgeons for negligent post-operative care and failing to diagnosis infection following a surgical procedure. We have also obtained a $1.2 million settlement against a health care provider after a doctor’s failure to timely diagnose an evolving disease resulted in wrongful death. We achieved a $3 million settlement on behalf of a client who suffered serious brain damage after an anesthesia error during surgery. Read more about past successes we have achieved in medical malpractice cases. 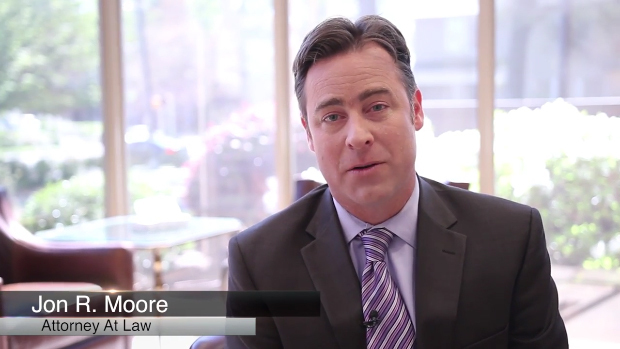 At Brown Moore & Associates, PLLC, we have the experience and legal skills to take on highly complicated medical malpractice claims. Our legal team includes a highly skilled nurse focused on evaluating claims to determine if medical professionals acted in a negligent manner. We also have access to industry-leading experts including university-based medical professors and practicing medical doctors. We prepare every claim with the goal of achieving a favorable trial verdict complete with expert testimony to prove fault. We invite you to learn more about the full range of services we offer to our medical malpractice clients. For answers to specific questions about your own experiences — or the experiences of a family member — contact our office to schedule a complimentary initial consultation or call toll-free 844-452-3688 to meet with a highly skilled medical malpractice lawyer.